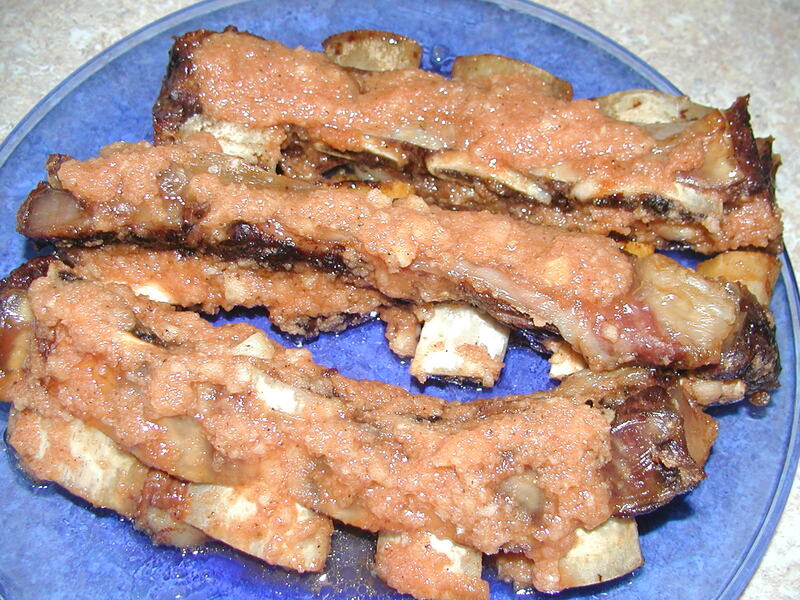 Place ribs in crock pot. Mix all other ingredients for sauce. Pour some sauce over ribs in crock pot. Cook on low for 12 hours. Serve remaining sauce with meal. Enjoy!